On 11 September 2018, shortly before the next "Schichtwechsel" (shift change), the Buddy Bear, which was created as part of last year's project day, was unveiled in front of the main building of the Berlin State Office for Health and Social Affairs, LAGeSo. During the so-called “Schichtwechsel” people with and without disabilities swap jobs for one day. It is an annual day of action for new perspectives. 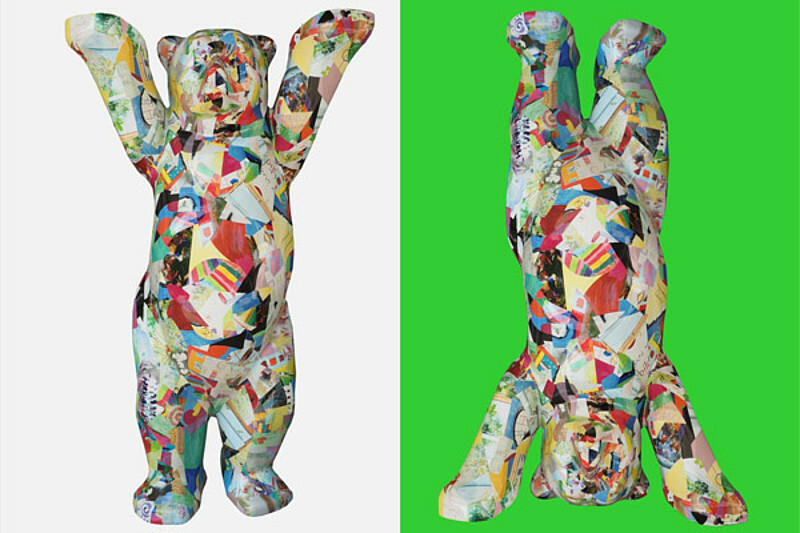 The Buddy Bear project was carried out in cooperation with the Landesarbeitsgemeinschaft der Werkstätten für behinderte Menschen in Berlin, an association for workshops for people with disabilities. 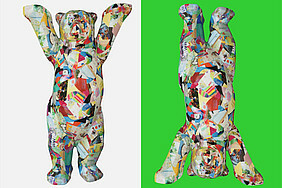 Their art studio applied foils to the bear, which were made from pictures painted in the affiliated workshops after the shift change with the numerous impressions of the participants. The Buddy Bear is now accessible for everyone in front of the LAGeSo in Berlin Moabit. The next “Schichtwechsel” will take place on 11 October 2018.